Venice Custom Bicycle's producer and founder Terry Talbot presented his fourth show at Venice Beach on Saturday, September 19th. 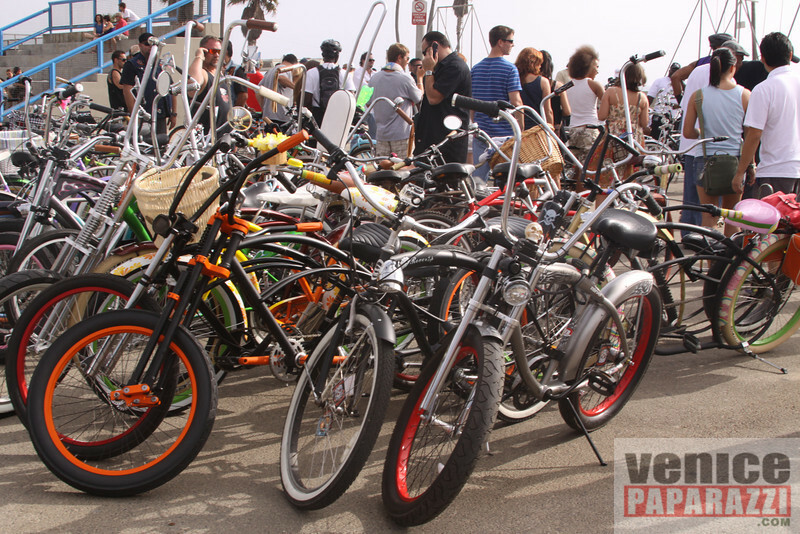 The event included a 5 mile rally style free ride from Dockweiler to Venice Beach, a custom bicycle exhibition, BMX and fixie flat ground freestyle competitions, bicycle jousting, break dancing, D.J., Redbull giveaways, free valet for bicycles and more. The people involved in making a successful event included L.A. Breakless, City Lites, Real Ryda'z, L.A. Breakers, Red Bull, Metro, Nomad Cruisers, Sick Cycles, Palm's cycles, Grxpski and more. This was another great event in Venice For more information visit http://www.venicecustombicycles.com. Compliments of Venice Paparazzi, get your free digital photos from this gallery by right clicking and saving, or dragging straight to your desktop. Enjoy! Please provide photo credit to Venice Paparazzi and use only for personal use. PHOTOS BY VENICE PAPARAZZI. Venice Paparazzi is a photo archive and event listing for Venice, Californi http://www.venicepaparazzi.com. In addition, Venice Paparazzi is a photo and video agency offering event coverage, red carpet, on the spot printing, and photo shoot areas for your events. MAKE YOUR NEXT EVENT TRULY MEMORABLE WITH YOUR OWN PERSONAL PAPARAZZI. List of Venice Paparazzi service http://www.hirevp.com.